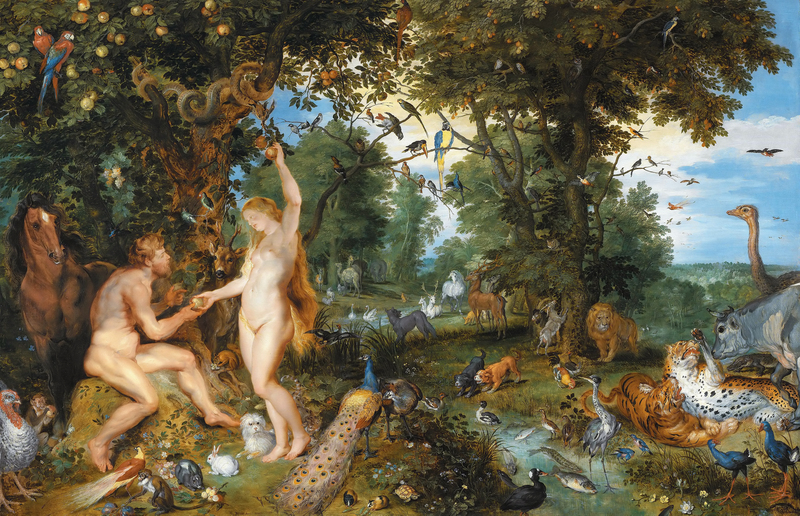 Did Adam and Eve love God? Did they love each other? What was God to Adam? His Creator? His Father? What did command did God give Adam? Seems like a simple thing. God had given Adam all kinds of other good things to eat. All Adam had to do is leave that one tree alone. Nevertheless, when the serpent tempted Eve, Adam did not drive the serpent away. Instead, he took the forbidden fruit from Eve’s hand, and he ate of it too. Then, as Eve had blamed the serpent for her temptation, Adam blamed Eve. So God cursed them both, and threw them out of Paradise. Adam may have been the first man, but he was still just an ordinary man. Adam may have lived almost a thousand years, but to what end? What good was his life? His life would still end in futility. Did God just give Adam all of those years to mourn? To regret what he and Eve had lost? Fortunately, God is merciful. So there is much more to the story. Even as He cursed her God made a promise to Eve. When Jesus was on the cross, Satan bruised His heel. When Jesus was on the cross, Jesus bruised Satan’s head, giving him a fatal wound. Why was Jesus was on that cross? Why did He receive a terrible bruise? Jesus loves the Father, and He is obedient to Him. Jesus is what Adam could not be, perfectly obedient to the Father. Nevertheless, as Christians, Jesus and his apostles call upon us to follow our Savior’s example. So let us remember the gift and the sacrifice of our Savior and humble ourselves. Let us follow the example our Savior. Let us pray that on this day and every day God will give us the grace to be like Jesus Christ. King Solomon, Real Reason Why Chicago Crime Decreased?